During pregnancy, mothers-to-be can experience a lot of concerns and worries surrounding a number of things, whether it’s to do with their mood, health or what they can and can’t do. One thing that almost every expectant mother thinks about at some point before or throughout their pregnancy, however, is their weight. How much will they gain while pregnant? How will their post-baby body look? Can their pregnancy weight be easily lost? All of these questions are perfectly fair to ask, but it should be made clear that every pregnant woman gains weight differently and the amount of weight gained is dependent on several factors. So, if you find yourself asking ‘how much weight should I gain during pregnancy?’ There’s a number of things you need to know to have a clearer idea of what to expect. As these are only recommendations, do not get overly concerned. Your doctor and midwife will be able to provide information and assurance about what is right for you. If you are within the under or overweight category, it is essential that you seek extra support and care during your pregnancy. If you are a woman that has always had an active lifestyle, there are no problems with continuing throughout your pregnancy. However, if you are not an active person, taking part in gentle exercise for 15 minutes a day, three times a week slowly building to 30 minutes, will be sufficient to manage your weight. It’s important to remember that your goals aren’t to get as fit as possible, you are merely trying to stay physically active, so you do not have to worry about partaking in particularly strenuous activities. For many, physical exercise may seem unappealing. If this is the case for you, there are still plenty of things that you can do to keep your weight down. For example, avoid sitting down for prolonged periods of time. Attempt to walk and stand as much as possible – take the stairs rather than an elevator or get off at an earlier bus stop. Your diet will also have an impact on the amount of weight that you gain. Therefore, it is important to try to eat well and healthy and not always think that ‘you’re eating for two’. The key is to make small gradual changes to improve your activity levels and diet – again, do not hesitate to ask your doctor or midwife for help and advice. Gestational diabetes – This is caused by increased levels of glucose in the blood, which increases the chances of having a large baby. Pre-eclampsia – This is caused by increased blood pressure, in most cases, this is mild and results in no trouble but it can have the potential to be serious. 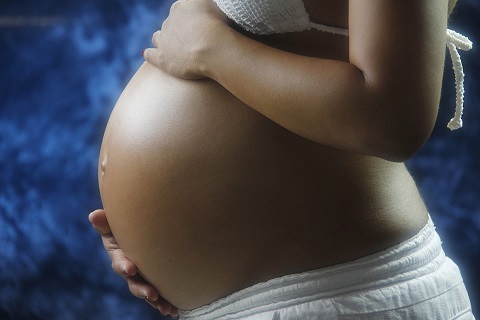 We hope this blog has answered your questions regarding weight gain during pregnancy! While here, why not browse our range of scan packages!? From 2D for 4D baby scans, take a glimpse at what your bundle of joy is going to look like with the help of First Encounters! When it comes to pregnancy, many questions are asked about what you can and can’t have, especially when it comes to food and drink. Women and men alike suddenly find themselves reading labels anxiously, as well as googling ingredients and recipes that do good to pregnant women rather than harm. While some of the rules that come with pregnancy are black and white, many aren’t and are solely dependent on who you ask. One of the most popular questions asked, however, is concerned with coffee intake. Can pregnant women drink coffee? How much caffeine can you have while pregnant? Is too much caffeine bad? So, let’s find out! With increased levels of fatigue experienced by many pregnant women, coffee may always seem like the easy go-to in order to keep energy levels up, whether it’s to complete day-to-day tasks or manage other children and toddlers. But is it okay to do so? Well, the simple answer is yes, but in small daily amounts. Caffeine crosses the placenta and has been associated with low birth weights, therefore experts recommend that pregnant women take in no more than 200mg daily, approximately 2 cups of coffee. However, it is very important to note that not all coffee is caffeinated in equal measures. 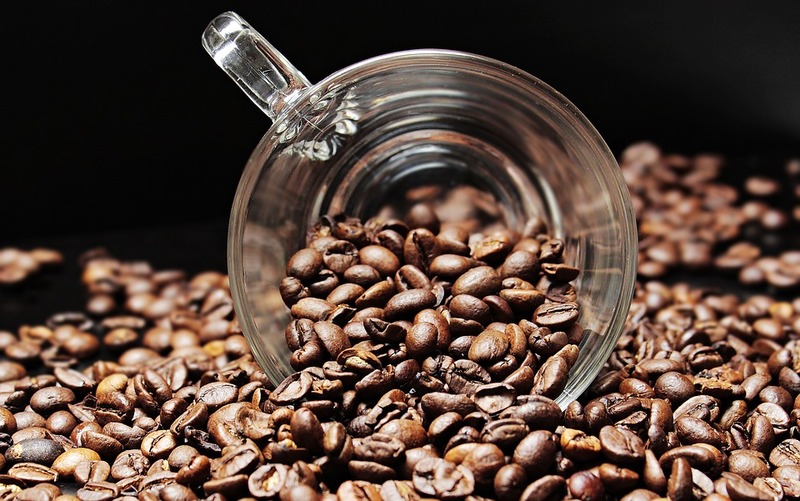 Caffeine content varies on the method of production and type. Drip coffee contains the highest levels (approximately 140-240mg per 240ml/8 oz) followed by brewed and then instant. So, as a general guideline, mothers-to-be can have two smalls cups of brewed coffee a day, but it is important to note other sources of caffeine such as fizzy/energy drinks and chocolate. These may not be the coffee that you know and love, but they will definitely go a long way when cravings start to kick in while giving you peace of mind that you are doing no harm to you or your baby! For further information on what’s safe to eat or drink while pregnant, be sure to contact your doctor or midwife – for further advice on pregnancy cravings and how to curb them, click below! Getting the right amount of sleep or finding a way to fall to sleep can be a real struggle for any person, let alone if you’re an expecting mother. Methods that you may have used to help you get a better quality of sleep may no longer work now that you’re pregnant, so what are you to do now? Read on to find out the things you need to do and the things you need to avoid when it comes to sleeping whilst pregnant! The good news about sleeping while pregnant is that there is no need to change the way you sleep until you reach your second trimester. So, with these things in mind, we take a look at the most common sleeping positions throughout the course of a pregnancy. Between 15 and 20 weeks gestation, the uterus grows big enough to start interfering with the flow of blood when sleeping on your back. The uterus can begin to compress the inferior vena cava (IVC), as well as tightening the aorta, which blocks the main blood supply to your body and placenta. Therefore, sleeping on your back during this stage of your pregnancy can decrease the amount of blood returned to the heart, resulting in shortness of breath or an increased heart rate when waking up. During the early stages of pregnancy, sleeping on your stomach is fine, but there will come a time where you will have to turn over, usually when the bump begins to show around 16/18 weeks. Once your bump starts to show, sleeping on your stomach can become uncomfortable and also have safety implications, similar to sleeping flat on your back. Sleeping on your stomach can cause your bump to move inside the stomach and again press against the IVC and aorta. The best and most commonly used sleeping position among pregnant women is referred to as ‘SOS’, which stands for sleep on side. More specifically sleeping on your left side, as this will help increase the number of nutrients and blood that reach both the placenta and baby. Sleeping on your right side can also compress the IVC, however, using pillows to prop up the uterus to prevent it sliding to the right can be helpful. It is not uncommon to fall asleep on your left side and wake up in a completely different position, on your back for example. If this does happen, there’s no need to worry as you probably weren’t in that position for very long. 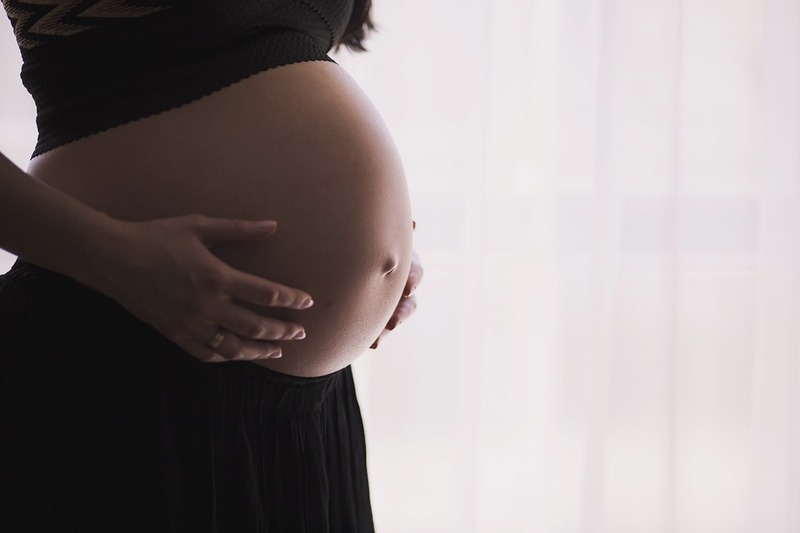 If you lay on your back during your third trimester, your blood flow will become compressed which will cause you to feel uncomfortable quite quickly, making you wake up. If you continue to wake up in a position other than your left side, ask your partner to check on you and move you back to your left side. For further information on how to sleep when pregnant, or if you are experiencing troubles sleeping, get in touch with a doctor as soon as possible. 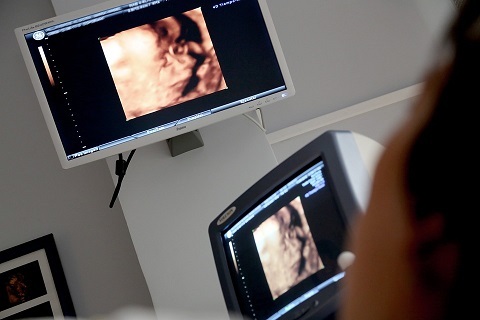 If you require a baby scan during any point of your pregnancy, be sure to browse from our range below! Food cravings are something that almost every pregnant woman will experience. From takeaways to sweets to dairy products, there will always be something that they need to satisfy a sudden urge. Many questions surround pregnancy food cravings, however, such as why do they occur, how can you control them and when do they actually start? All of which will be revealed right here, so if you’re experiencing pregnancy food craving or know someone who is and want to get the low-down, carry on reading! One of the most commonly asked questions regarding pregnancy food craving is how do they actually occur? Well, truth is, there isn’t a definitive answer to what causes them, but a number of reasons have been thought up as potential explanations. Most experts agree that food cravings evolutionary, that it’s your body sending signals to your brain and taste buds of what it needs. This could be a result of rapidly changing hormones because your body is working extra hard to produce a lot more blood or simply because certain foods make you feel comfortable as your body is changing. When do pregnancy cravings begin? For the majority of women, pregnancy cravings begin in the first trimester, peak during the second trimester and start to decline through their third trimester. Doctors say however that few cravings tend to carry on after childbirth, so if you’re worried about cravings being a permanent thing, they most likely will not. Food aversions – What are they? Food aversions are just as apparent with pregnant women as food cravings. These are the opposite, however, and can produce some equally unusual feelings. Both food cravings and aversions tend to start around the same time. Experts in psychology state that food cravings may not have anything to with the feeling of morning sickness, but staying away from certain foods does. The most common food that is avoided by women during pregnancy is meat, claims that the sight, smell and texture can be too much to handle. The reason behind this, researchers say, is because meat sometimes carries bacteria that is capable of making mother and baby sick, as a way of protection, the body makes meat seem unappetising. All of these cravings are okay to have occasionally as long as they’re eaten in moderation. Try to avoid consuming unhealthier foods often as too much can cause excessive weight gains and problems such as dental issues. Eat healthy, low glycaemic index (GI) foods that will keep you feeling fuller for longer such as wholegrain bread, fresh fruit and baked beans. Some cravings can be dangerous and must be avoided at all costs. If and when these occur, the best thing to do is to visit a doctor to receive professional advice. Pica is a potentially poisonous condition, that urges pregnant women to compulsively eat foods with no nutritional value such as soap, dirt or dry paint. Cravings such as these, along with alcohol and drugs can cause danger and harm to both yourself and your baby. If you have any questions regarding pregnancy cravings or want to find out more information in relation to your pregnancy, please contact a professional as soon as possible. Please visit our scan packages page below to learn about all the baby ultrascans that we provide and to book yours today!